Welcome to Grange Creek! 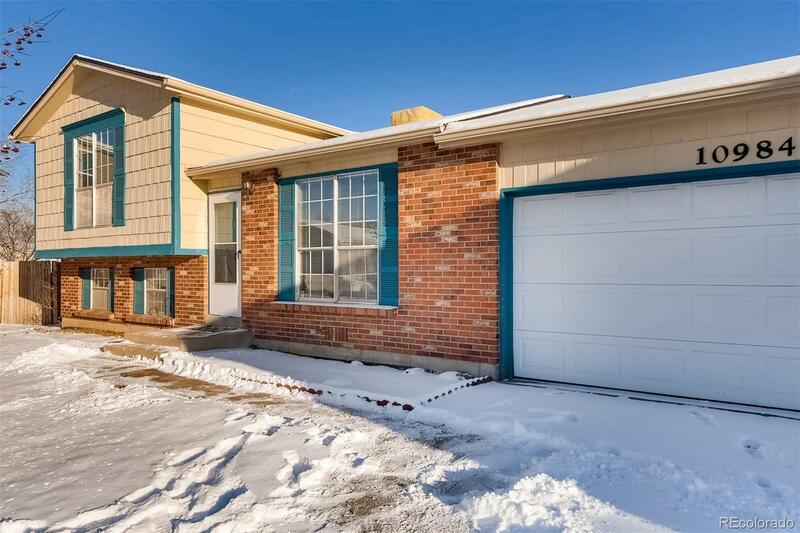 This home sits in a semi cul-de-sac creating a HUGE fenced backyard complete with concrete patio and wood deck perfect for grilling, entertaining, and room to play! Original Wood Stove Fireplace and optional lower bedroom can double as guest room or office. New Carpet. New Paint. Water Heater was replaced in 2018. New Microwave Oven in 2018. Roof was replaced with GAF Timberline HD Architectural Shingles in 2014. Located walking distance to Margaret J Carpenter Park complete with Huge Rec Center, Boathouse, Playing Fields, Sprayground, Playground, Trails, and Ponds. Smaller Holly and Grange Creek Park just around the corner. Riverdale Elementary is less than 1000ft away.